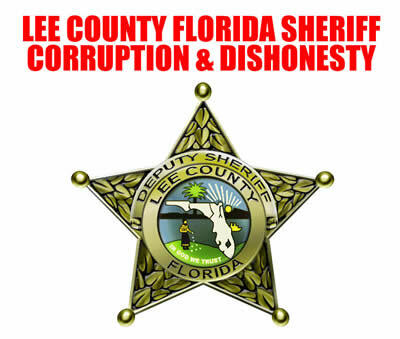 Lee County Sheriff Department Deputies broke the law seizing a telephone from a man who was legally video taping them. This is obvious behavior of dishonest deputies who act as bullies and thugs. It’s unprofessional officers such as this who commit crimes while on the job and act “ABOVE THE LAW” who need to be removed from our streets. These officers have a history of abusing the law and stealing cell phones from people. Brutalizing the public, breaking phones all because they’re afraid the video evidence will expose them. Lee County deputies seized a man’s cell phone after he began recording a scuffle with officers. He was just a bystander but police took the phone without a warrant and the attorney says that’s against the law. Alex Martinez says Lee County deputies used excessive force while arresting his friends this past Monday. He says that’s why he used his cell phone to record the incident, something officers apparently didn’t like. Lee County deputies claim that phone’s video may help them prosecute a man who they say kicked an officer. But Martinez himself wasn’t involved in the scuffle and deputies never provided a warrant to seize his phone. Fort Myers attorney, Joe Viacava, who’s not involved in this case, says it’s his legal opinion that deputies had no right taking the phone. He also says it doesn’t surprise him.